Tinsel town in party mode. Again. 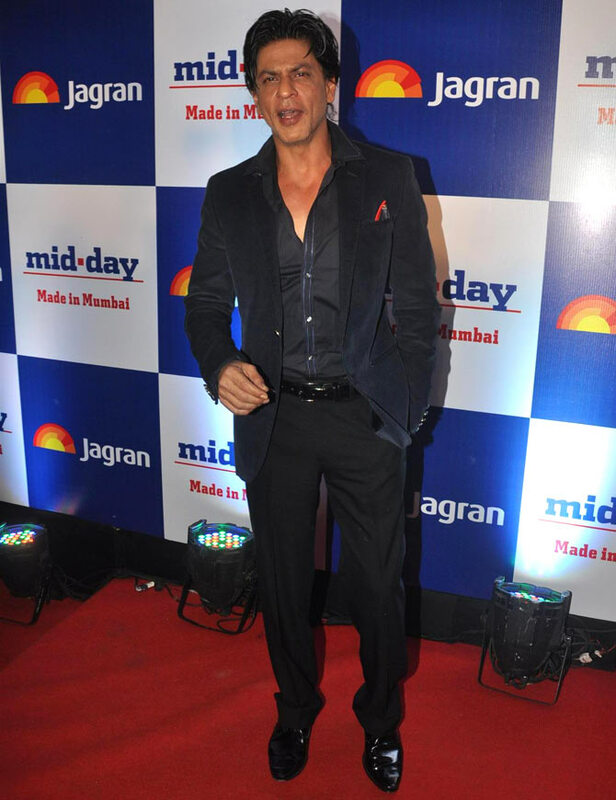 The Mid-Day re-launch, held at JW Marriott in Juhu, a western Mumbai suburb, recently, was marked by quite an impressive Bollywood celebrity count. Deepika Padukone arrived in a cute Ashish Soni dress. Please click NEXT for more pictures from the event. 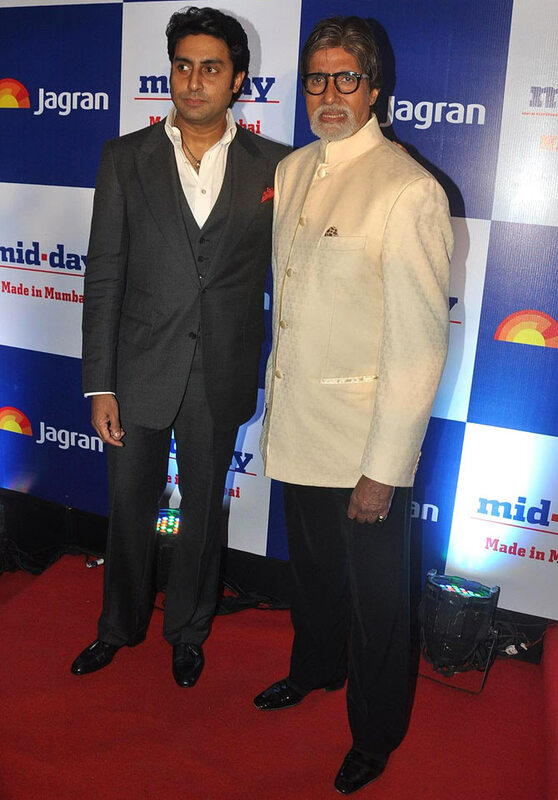 Abhishek and Amitabh Bachchan arrived together. 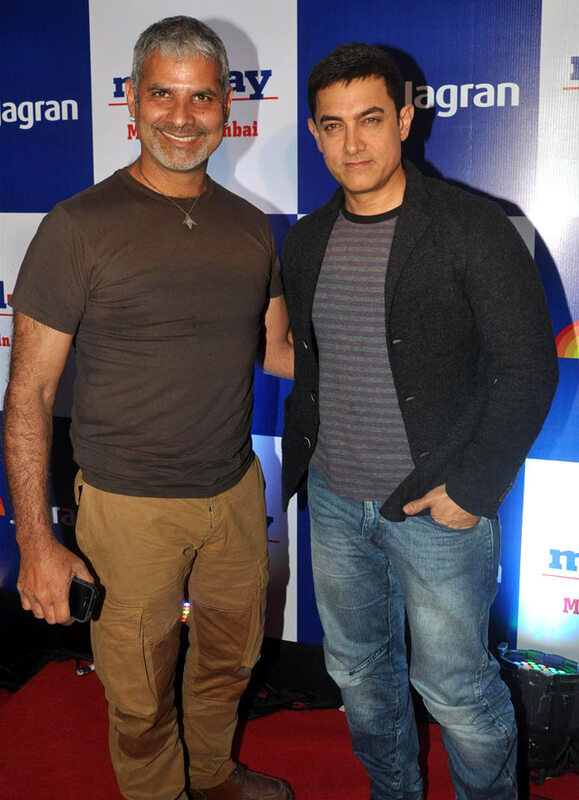 Aamir Khan, who is gearing up for the second season of his TV show Satyamev Jayate, posed for pictures with his Lagaan costar Amin Hajee. Shah Rukh Khan was also spotted. Surprisingly, Ranveer Singh dialed down his notorious flamboyance with a beige jacket, a thick-rimmed pair of glasses and coiffed hair for the do. Bewakoofiyan costars Ayushmann Khurrana and Sonam Kapoor were also in attendance. Their new film releases on March 14. Queen actress Kangna Ranaut was a head-turner in her striped Topshop dress. 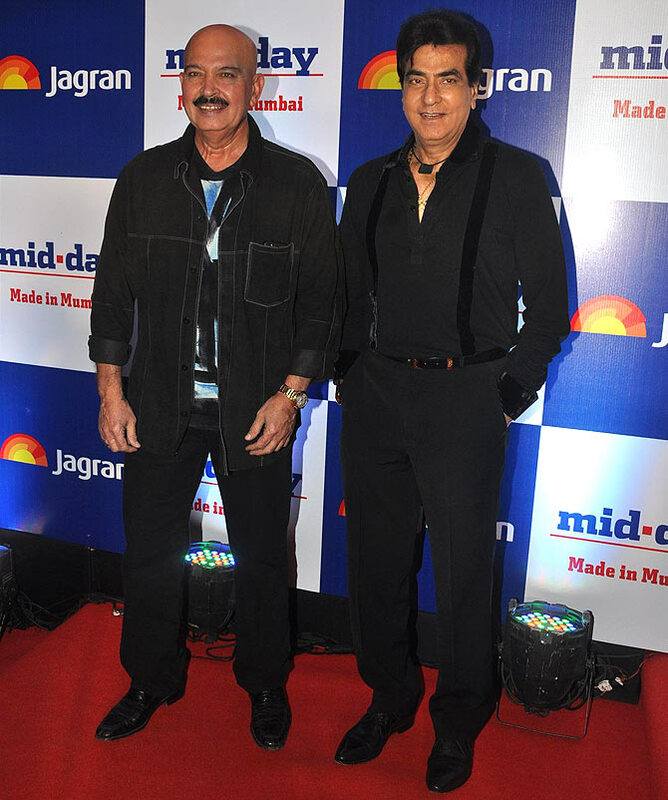 Veteran actors Rakesh Roshan and Jeetendra arrived in colour-coordinated outfits. Ameesha Patel sported a strapless red number for the bash. 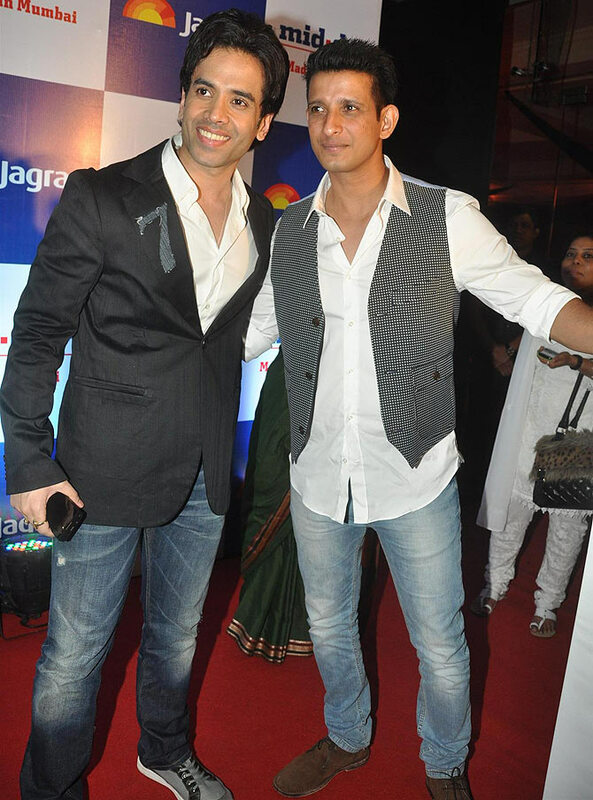 Meanwhile, Jeetendra's son Tusshar Kapoor was spotted hanging out with his Golmaal costar Sharman Joshi. Ram-Leela actress Richa Chaddha looked stylish in her all-white outfit. 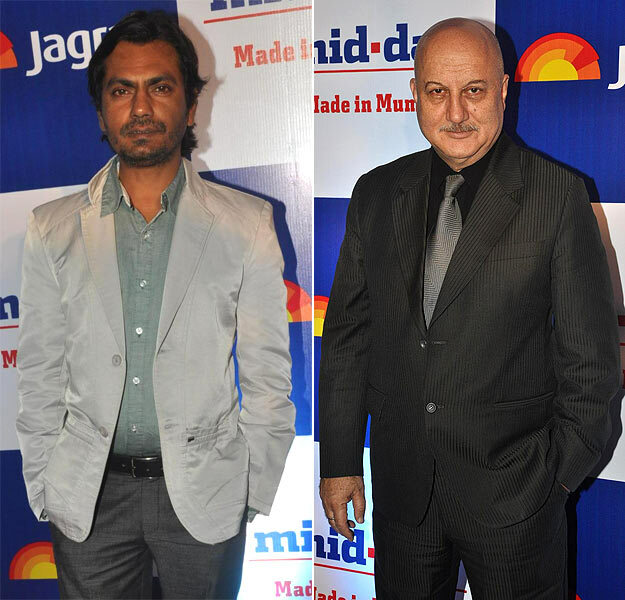 Nawazuddin Siddiqui and Anupam Kher, spotted at the do. 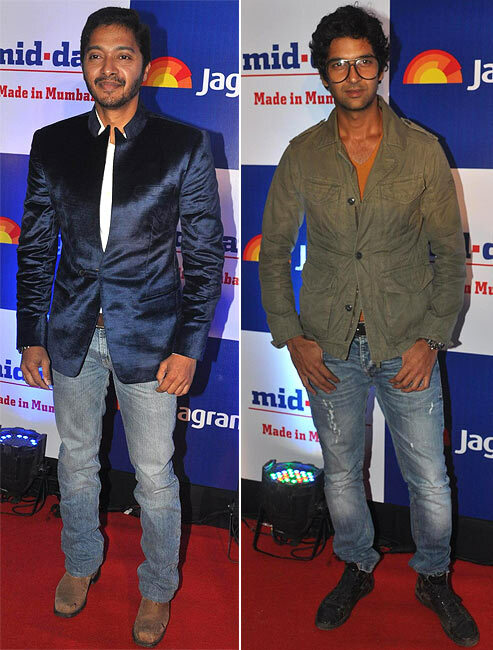 Actors Shreyas Talpade and Purab Kohli stood out in their colourful jackets. 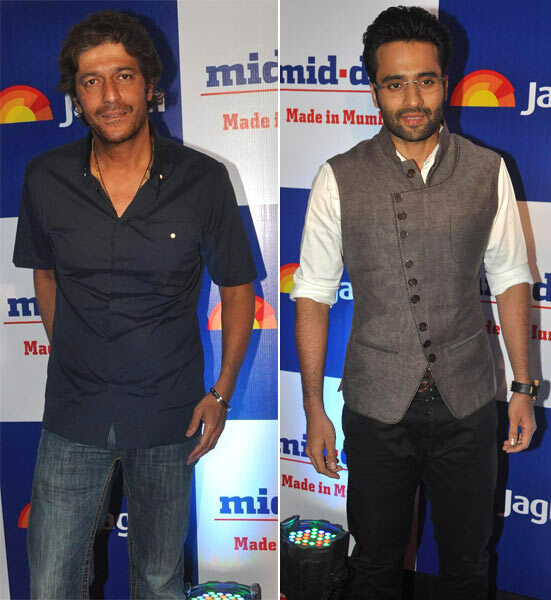 Chunkey Pandey and Youngistaan actor Jackky Bhagnani, photographed at the do. 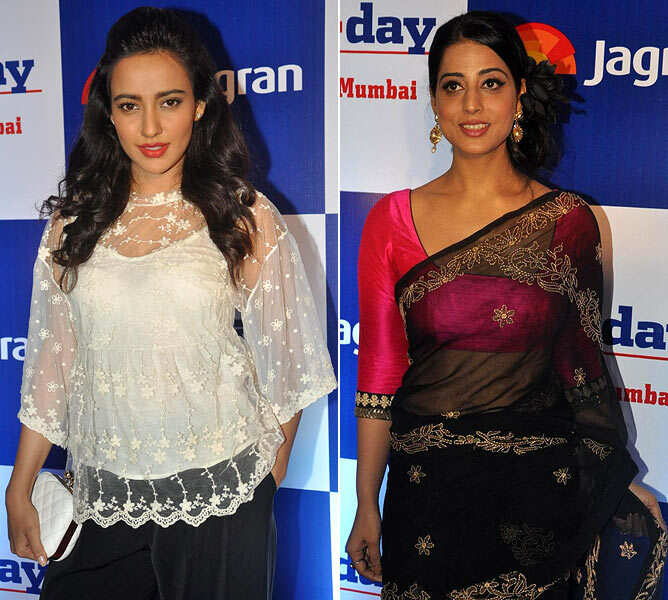 While starlet Neha Sharma went the understated way in a lacy white top, Mahie Gill wore a sari. 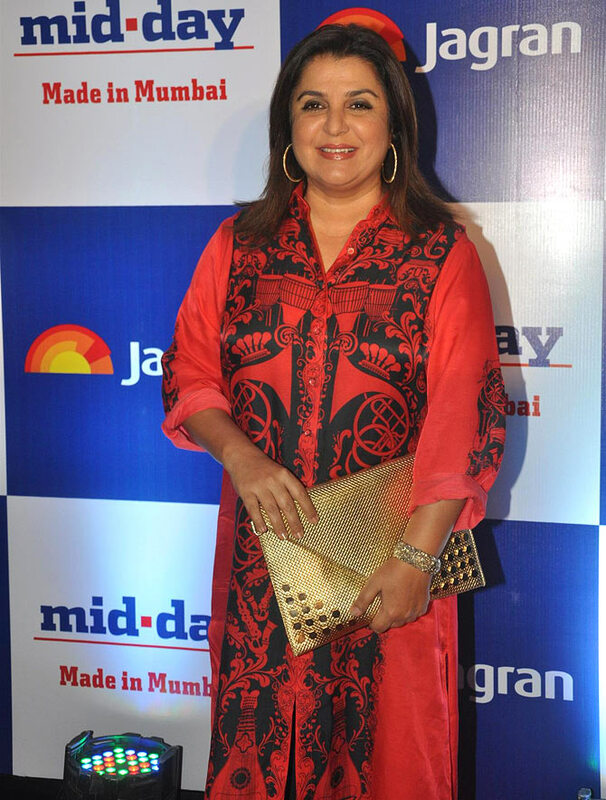 Choreographer-director Farah Khan, who is currently working on her new film Happy New Year, was in her element. 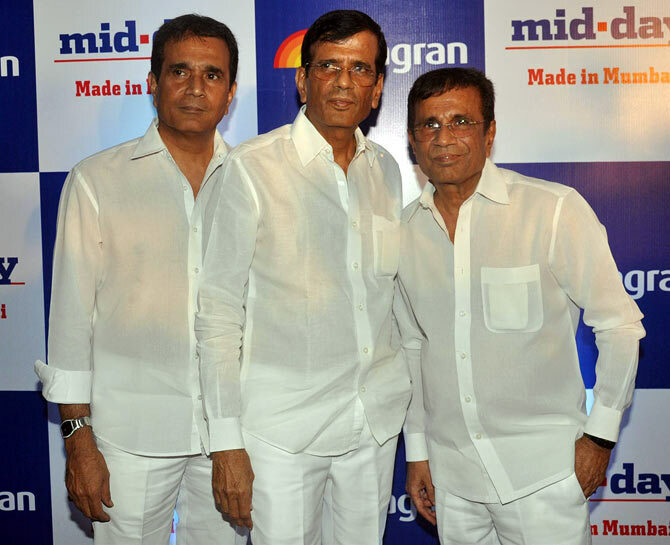 Filmi trio Hussain, Abbas, Mustan were among the invited star guests. 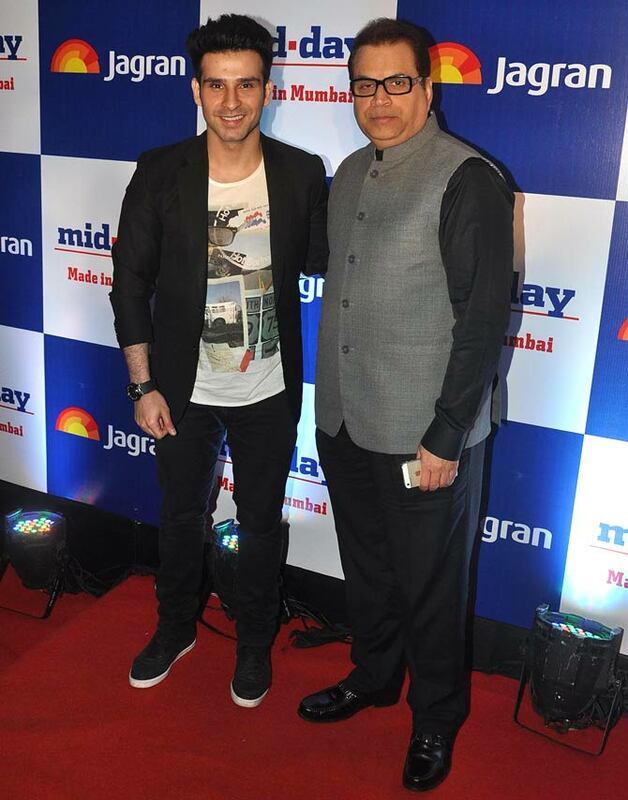 Tips head honcho Ramesh Taurani was joined by actor son Girish on the red carpet. 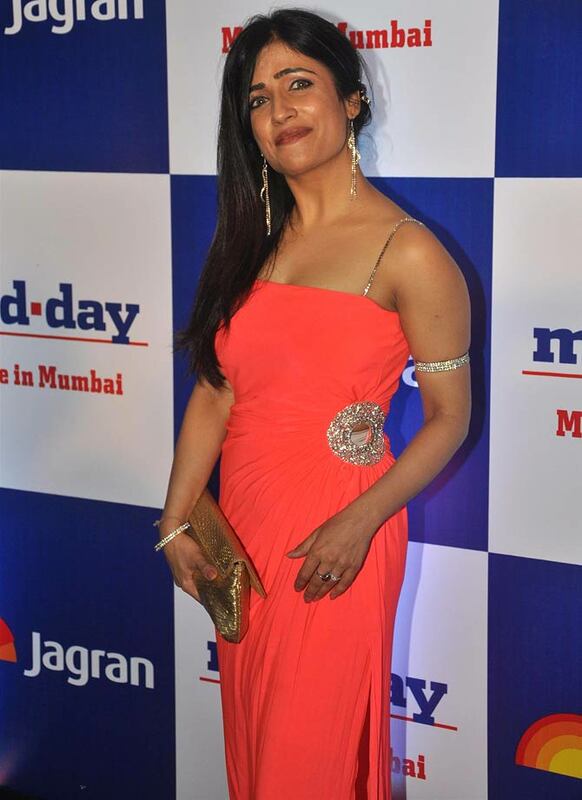 Singer-songwriter Shibani Kashyap poses for pictures. 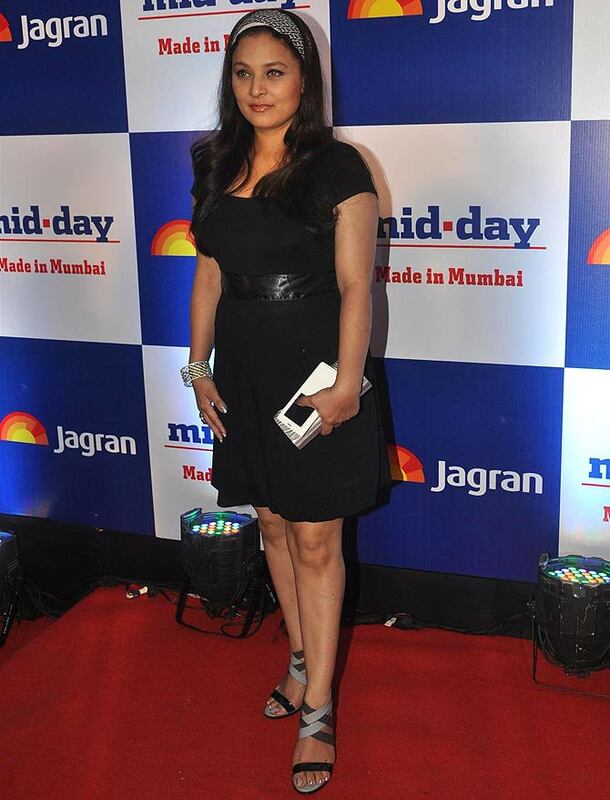 Sharbani Mukherjee arrives for the relaunch bash. Saifeena, Abhi-Ash: Bollywood's ROCKING marriages!